I attended both conferences over Easter, ATM and MA. As OUP was sponsoring the MA conference it was well attended by authors and publishing people. A major theme among secondary teachers in informal discussions at both conferences is whether and how the requirements for problem-solving at GCSE will affect teaching throughout secondary. Another major theme is how different schools are adapting what they do at KS3 to try and ensure that all students can learn the key ideas of mathematics. It seems as if some schools are seeing these as a set of contradictory jaws crunching from above and below and chewing up maths between them. Other schools are seeing the focus on problem-solving at GCSE as a reason to focus on developing reasoning and problem-solving for all in Year 7 and use this as a basis for later learning. In many schools the decision about what to do is more about what senior management say than what might be the best thing to do mathematically. Another difference is that some people see problem solving as what you do after you have learnt something, while others see it as the reason for learning new mathematics. In my keynote talk at the MA conference I developed further the ideas in my last blog ‘Chicken or Egg?’ by referring people to a dialogue of Plato’s in which Socrates teaches an uneducated servant how to construct a square of area eight square units from one of area four square units. Socrates uses what the servant already knows about squares, numbers and area as the basis for a questioning sequence which leads him to ‘seeing’ a way to getting a square ‘double the size’ of the original. This diagram might help you see what Socrates did. Behind this dialogue – which has many flaws as an example of teaching – there are some important ideas. Firstly, to build on what students already know. Even if teachers do not do this deliberately, all the theories of learning (apart from mere copying) say that what people learn depends on what they already know. This is one of the key ideas behind a mastery approach to teaching – that developing mastery happens gradually over multiple related experiences. So it makes sense that teaching should be a sequence of carefully related experiences until students have a strong and lasting understanding of an idea. Secondly, that learning depends on how our thinking is shaped by a knowledgeable teacher who can provide diagrams, questions and pointers towards a desirable goal. Lastly, that responding to what learners say is also important. After a few examples of mathematical tasks approached in this way, I recognised the pressures that prevent some teachers form incorporating reasoning and problem solving in their day-to-day teaching so I showed a famous clip from the film ‘Finding Nemo’. This is the one in which Nemo gets all the fish in the trawler net to swim in the same direction so that the trawler gear snaps and the fish can swim free. You can work out the analogy for yourselves I am sure – I saw the fish as being the teachers and students who all wanted to enjoy mathematics by developing their reasoning as they do it, and the trawler as anything that works against that. Is it a proof or a demonstration? 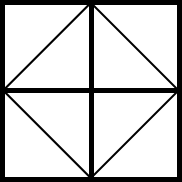 The three triangles are similar, so the ratio of their areas is the square of the ratios of their corresponding sides. 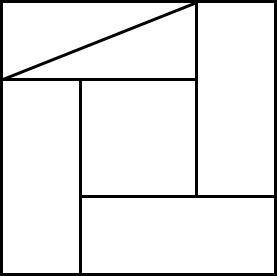 Hence, after some work using ratios of a : b : c to compare the three triangles, a2 = b2 + c2. 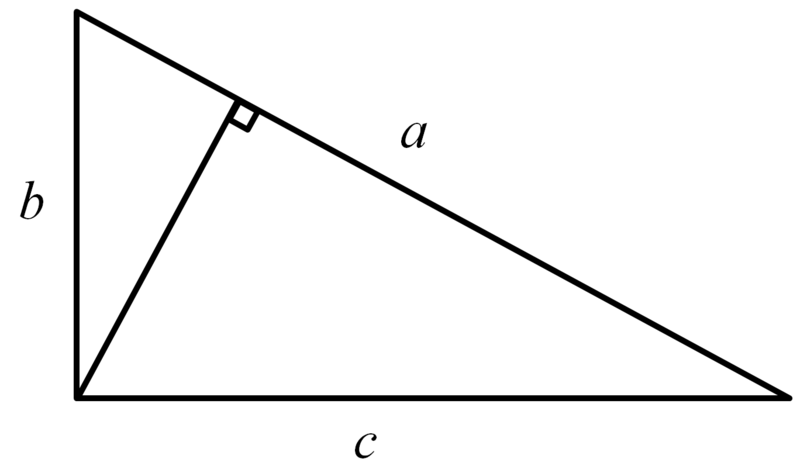 Two ways to think about areas of triangles. 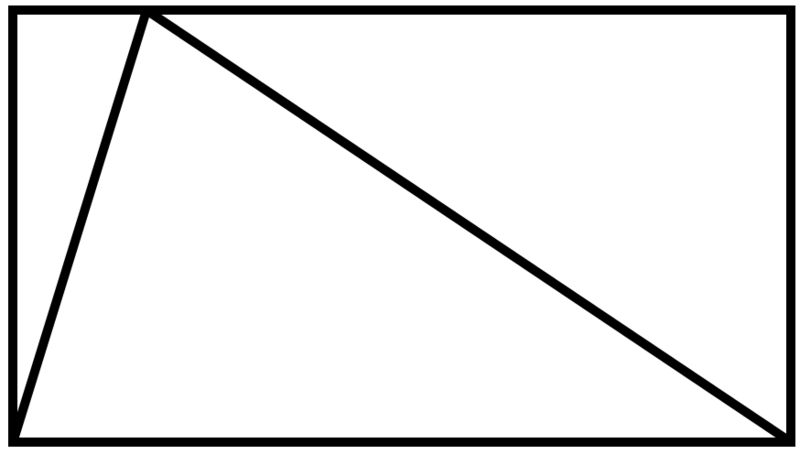 The first uses the area of a parallelogram and leads to ‘base times half the height’. The second uses ‘half of the sum of height times the total length of base’. The second is commonly used, but often fudges over the need for segments of the base to be summed. 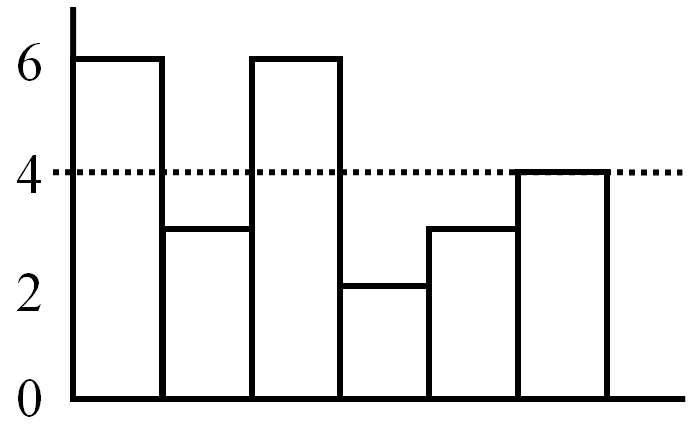 The bars below represent the data set 6, 3, 6, 2, 3, 4. 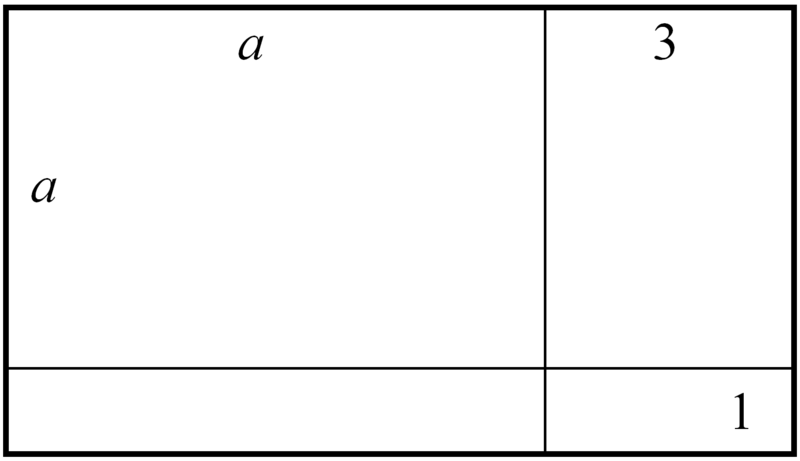 The arithmetic mean is the dotted line that can be drawn so that the area of data bars above the line is equal to the area of the gaps below the line, i.e. 4. Anne Watson has two maths degrees and a DPhil in Mathematics Education, and is a Fellow of the Institute for Mathematics and its Applications. Before this, she taught maths in challenging schools for thirteen years. She has published numerous books and articles for teachers, and has led seminars and run workshops on every continent.